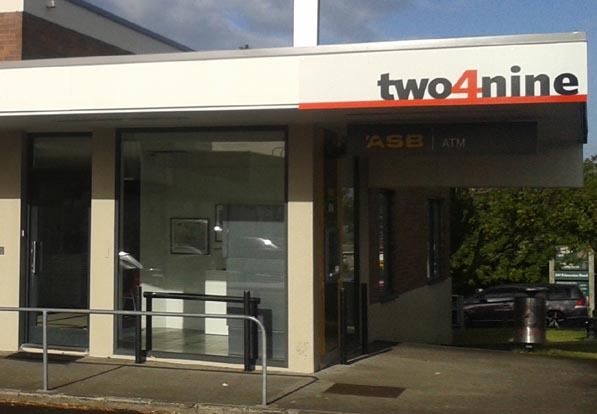 Moving to a new location in late 2013 prompted Way Out West to rebrand its service as two4nine – named for their new address, 249 Edmonton Road in West Auckland. Two4nine is a day programme that offers adults with mild intellectual disabilities a range of art activities such as sewing, painting and sculpting. It’s run by A Supported Life, a charitable trust that houses adults with mild intellectual disabilities and supports them to get involved in the community. The new location is set to give its artists many different opportunities. There’s now a gallery where two4nine can exhibit and sell the art of two4nine and other local artists. Two4nine has its share of high achievers with two of its artists, Derrick Leenders and Pippin Fraser, being selected as 2013 IHC Art Awards finalists. The creative space interacts with the community on two levels. Its artists create art for the community to see or use and it also collaborates with local artists to make art. “We offer onsite classes and offsite opportunities,” Bridget says. Three tutors run lessons at two4nine: Julie Douglas (life skills and stitching), Bridget Donohue (visual art) and Peter Galhart (gym). The participants are encouraged to explore different styles and can develop their own personal artistic styles. “It’s delightful watching people who thought they weren’t that arty getting excited by the process and feeling proud of their pieces,” Bridget says. Community involvement is important for two4nine. In the past, Way Out West has done community art projects such as building a two-metre-long kaleidoscope as part of Project Twinstreams, and building and entering a trolley car in the 2011 Red Bull Downhill Derby. Participants at two4nine, with assistance from Joan Hamilton of Estuary Arts, are currently working on Letters to the Front, a collection of stitched artworks to commemorate the centennial of World War I. This follows the success of One Stitch, a sell-out show in 2013 at The Lakehouse in Takapuna, featuring stylised vintage postcards made by two4nine participants. 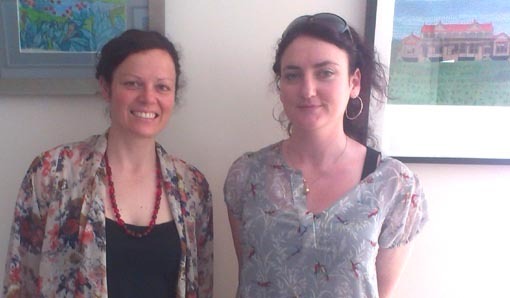 Read Plotting the best course, an interview with Bridget Donohue - a mentee in Arts Access Aotearoa's Creative Space Mentor Proramme. Read Bridget Donohue's blog about attending the Exult conference in November 2013. Original generation time 1.3651 seconds.